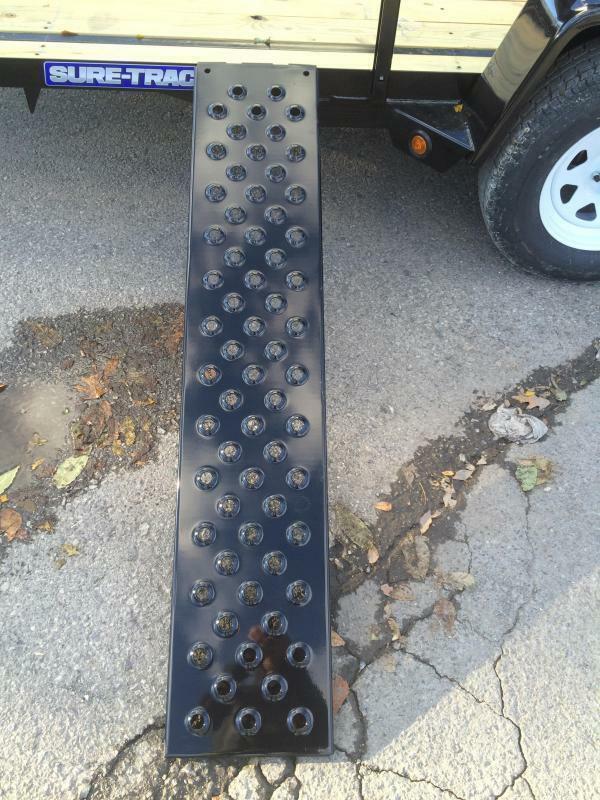 o The Tube Top ATV model utility is a very functional commercial grade utility landscape grade. 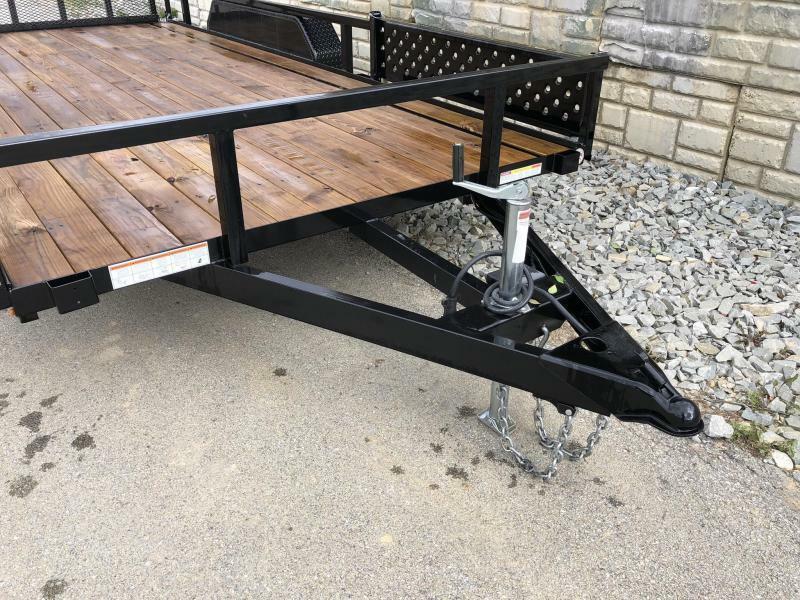 It's a nice looking trailer that is well engineered. 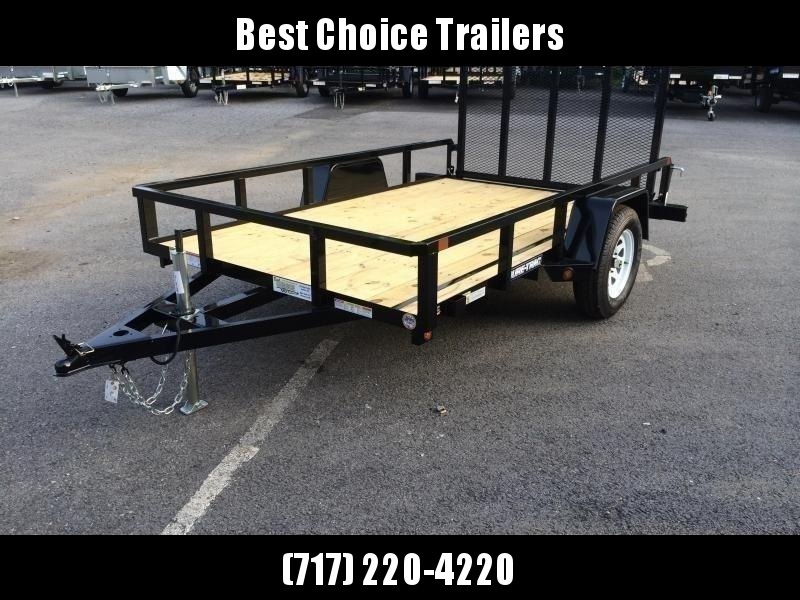 The trailer is built on the popular tube top chassis, and then receives a pair of side mount 5' punch plate ramps. 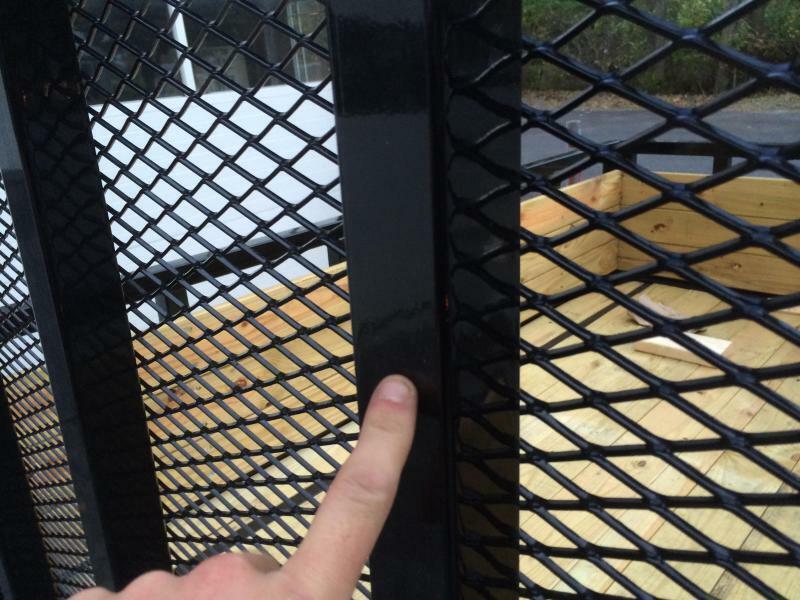 The ramps look good and tend to work better than a 4' side gate. 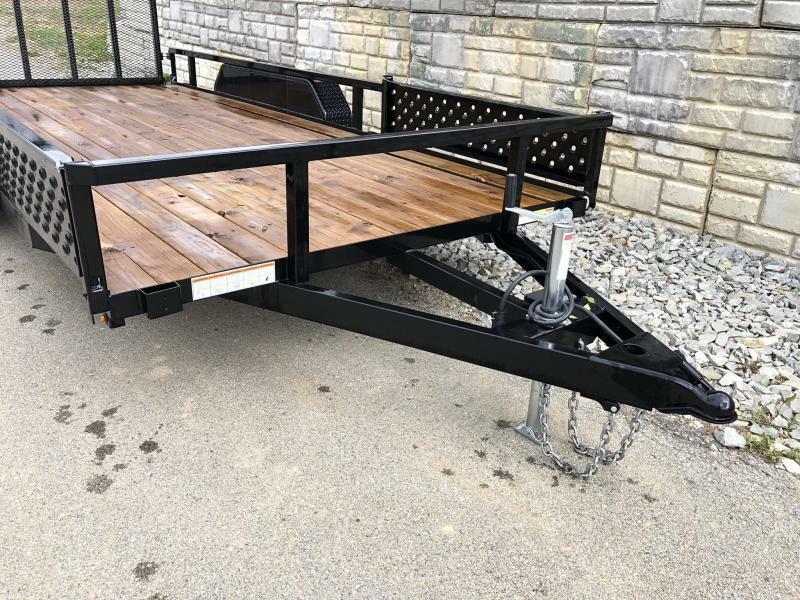 Due to the side ramps, both the single and tandem axle models come standard with a full wrap tongue for increased stability. 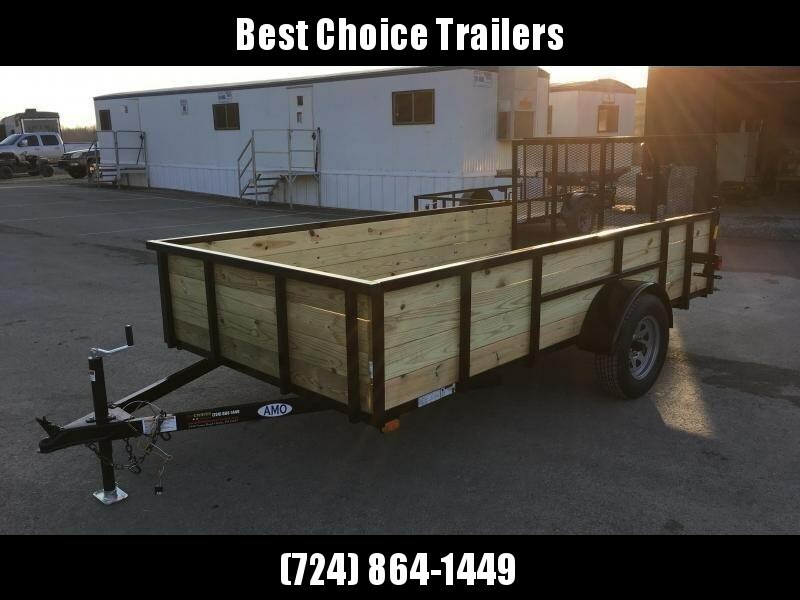 This trailer would be ideal for many ATV/UTV applications, as well as anyone who could benefit from side loading construction materials to lighter pallet material or similar. 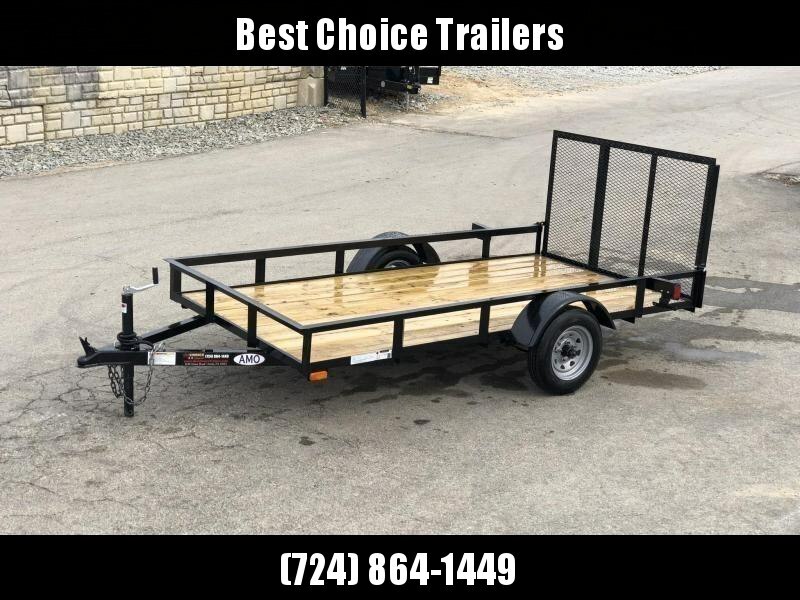 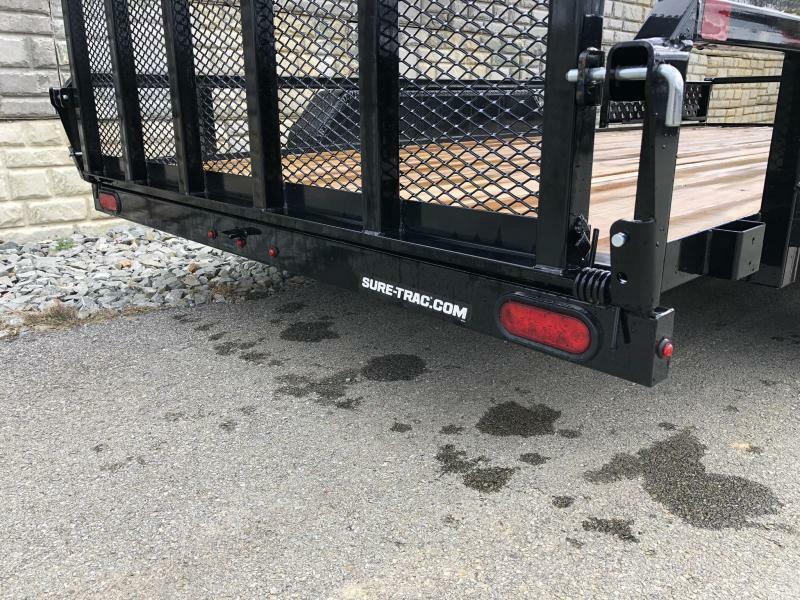 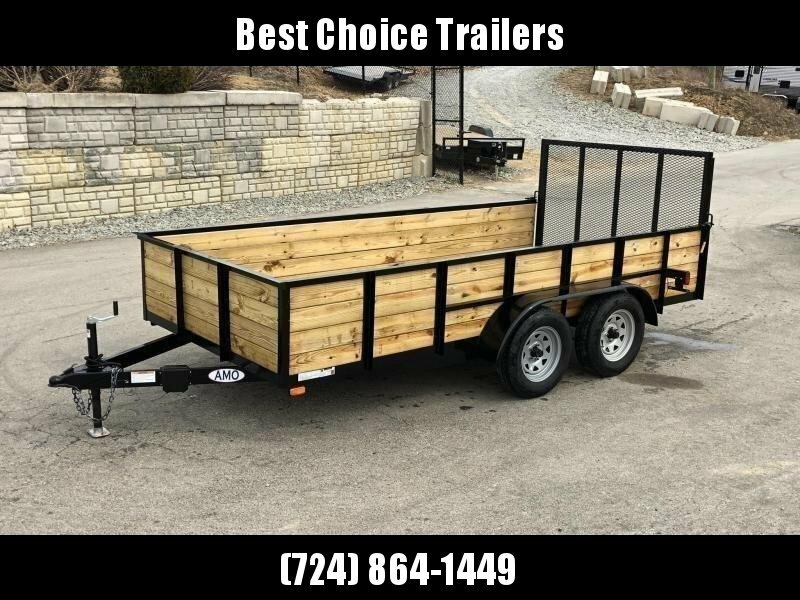 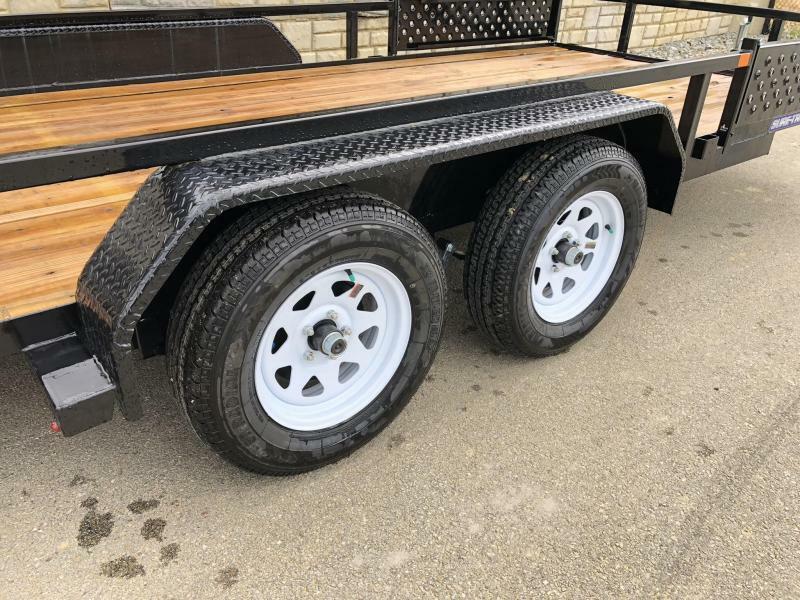 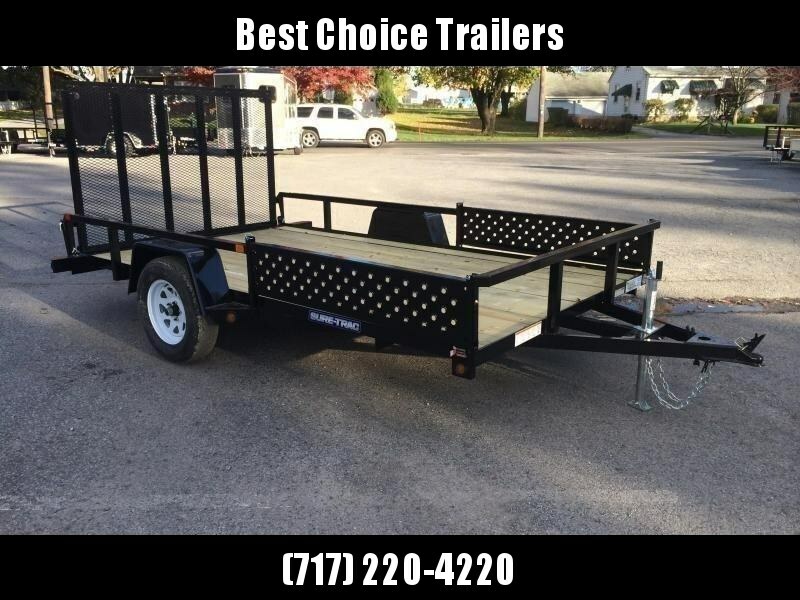 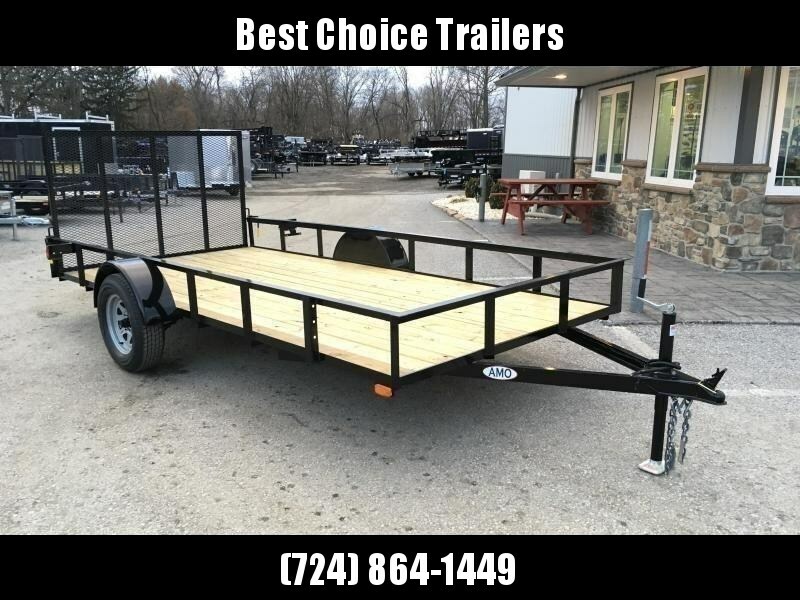 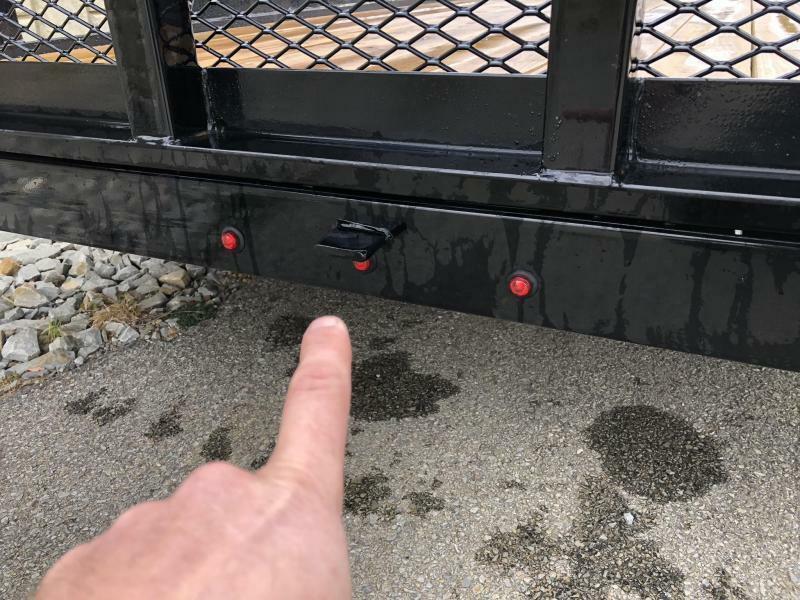 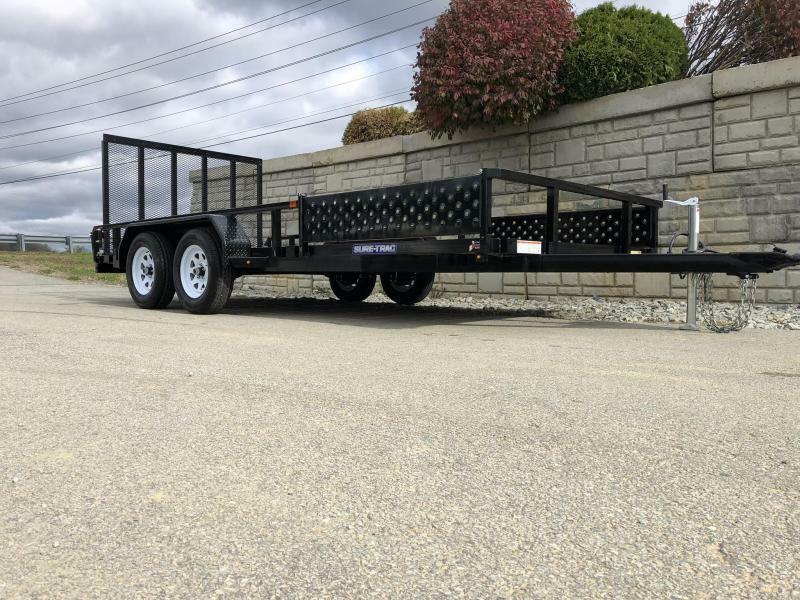 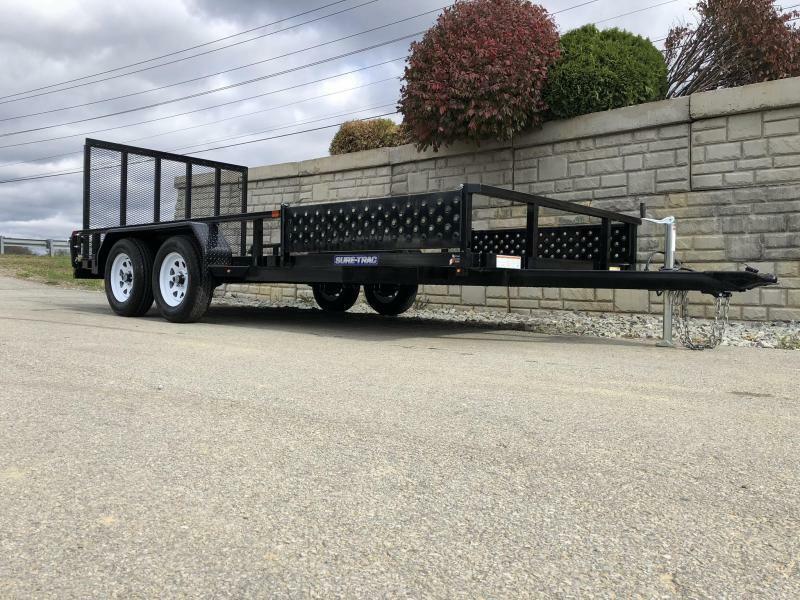 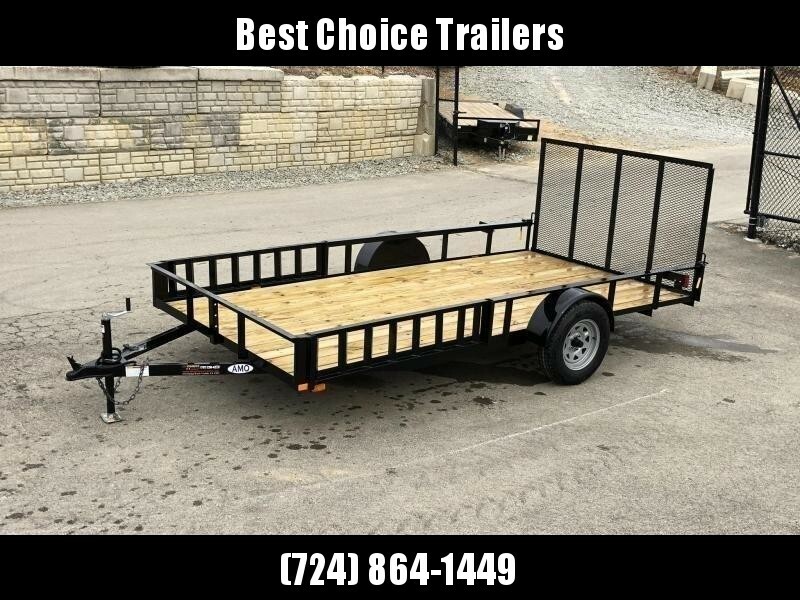 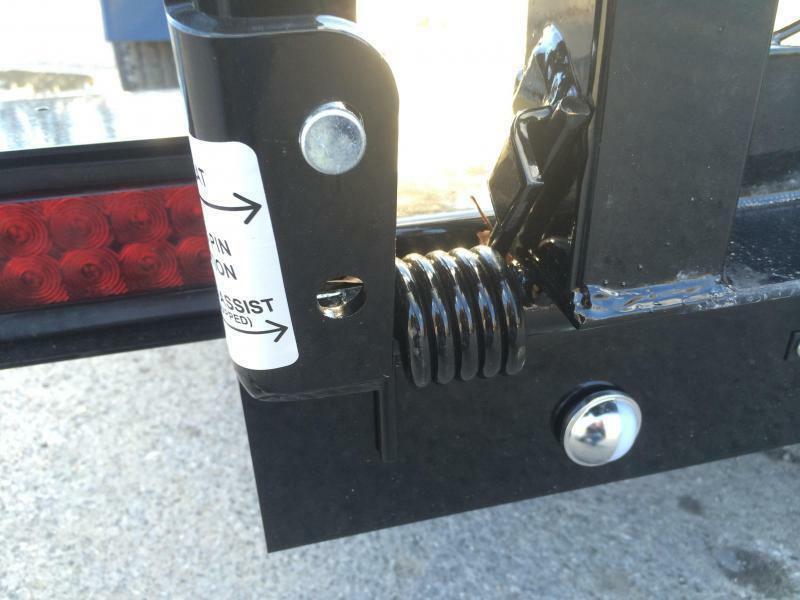 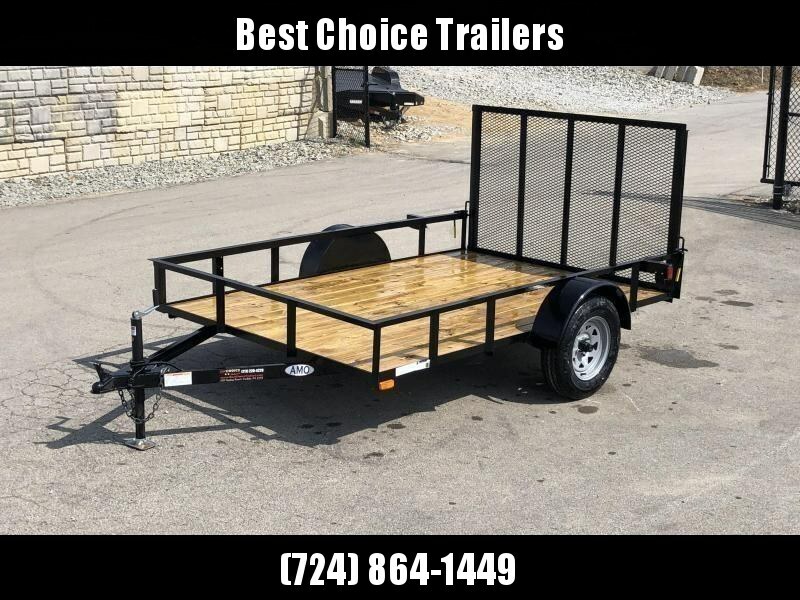 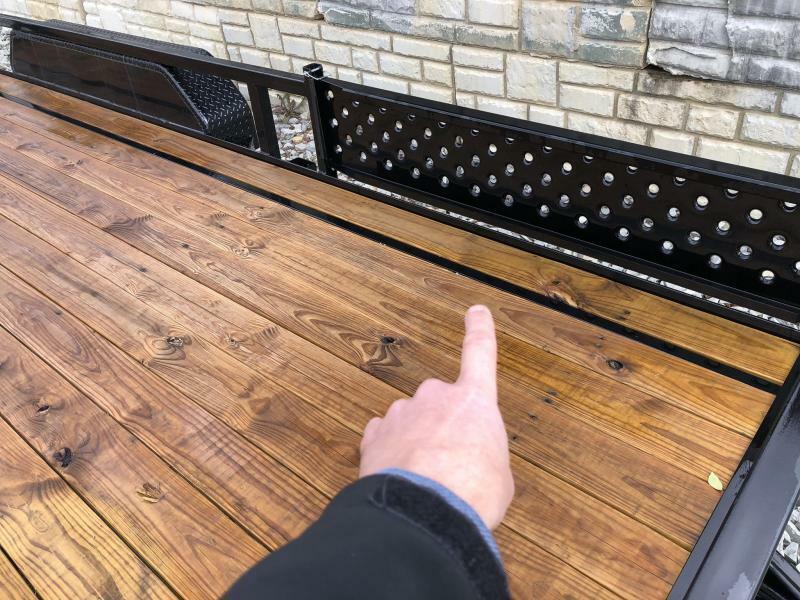 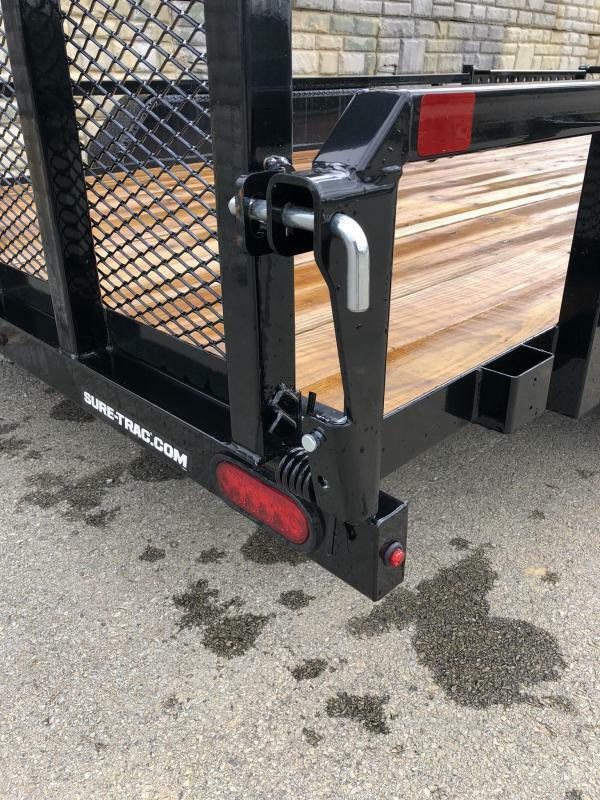 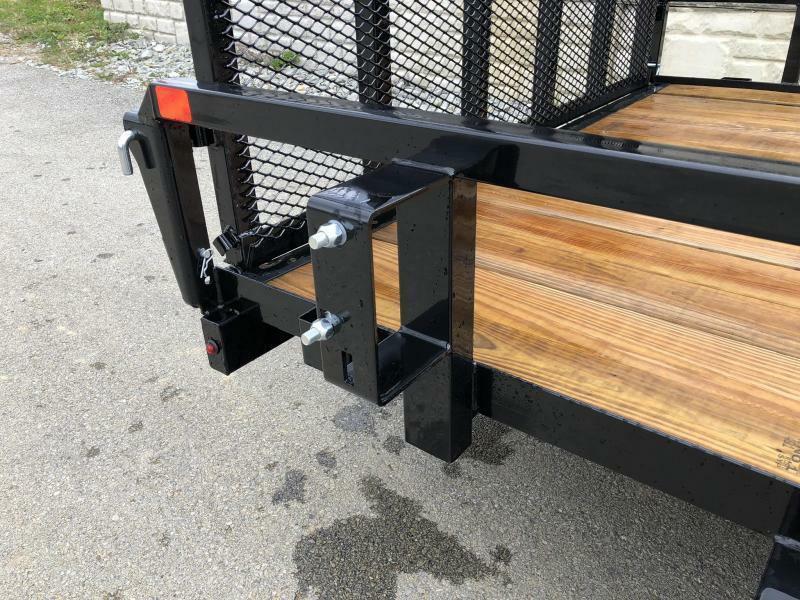 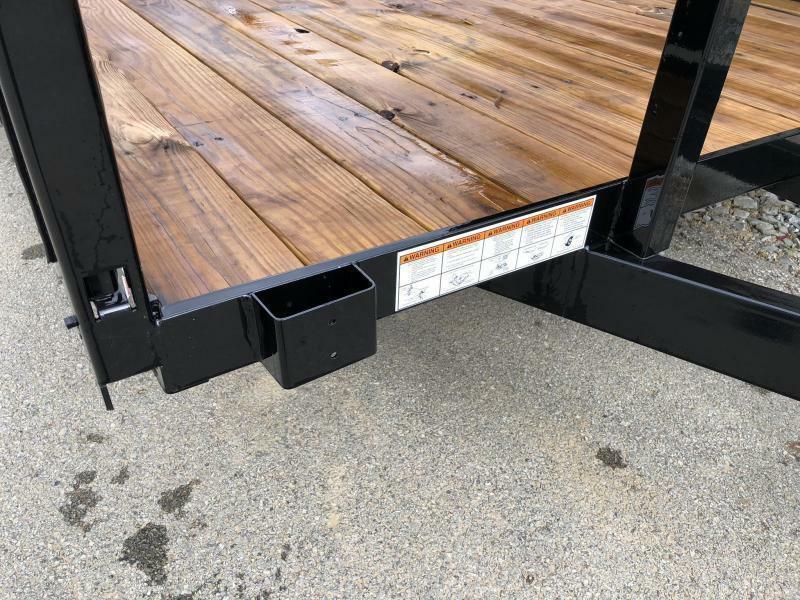 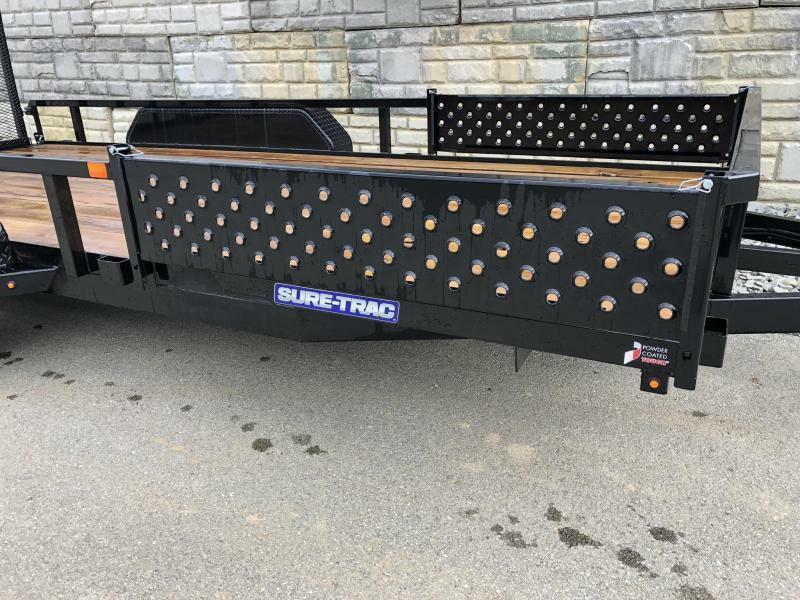 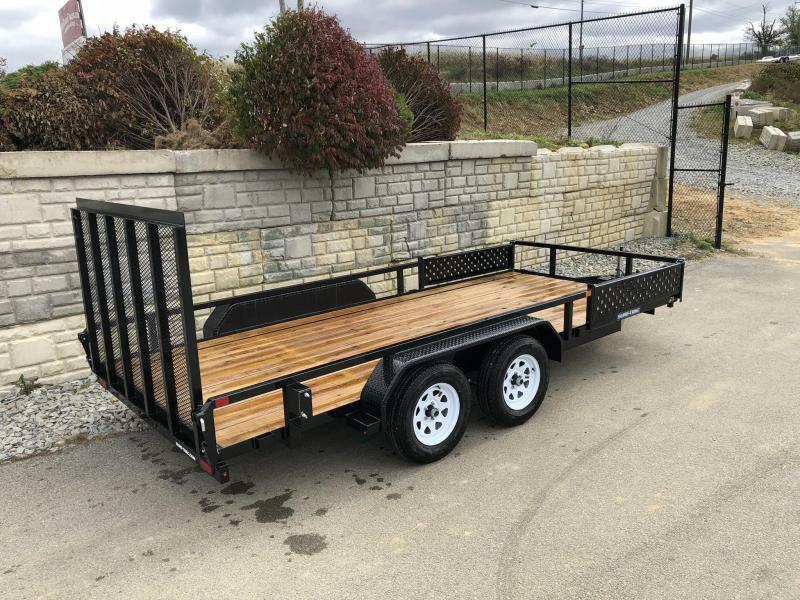 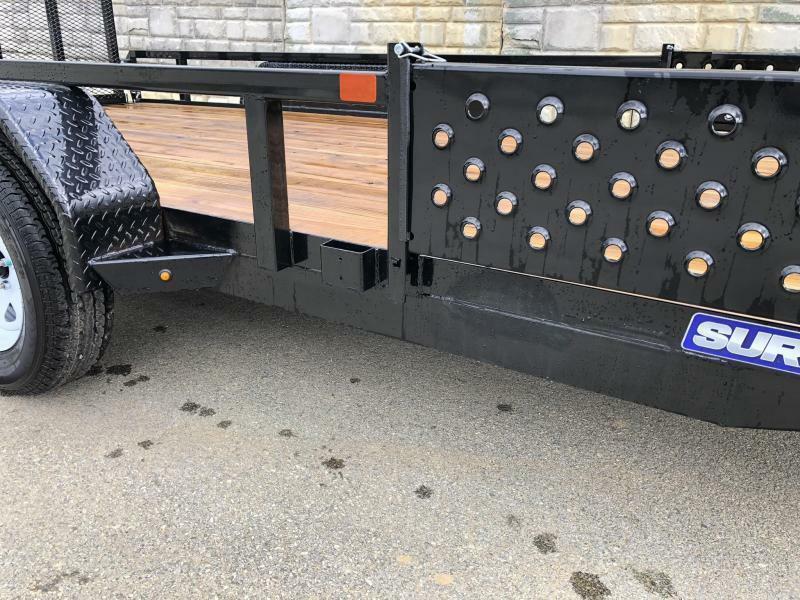 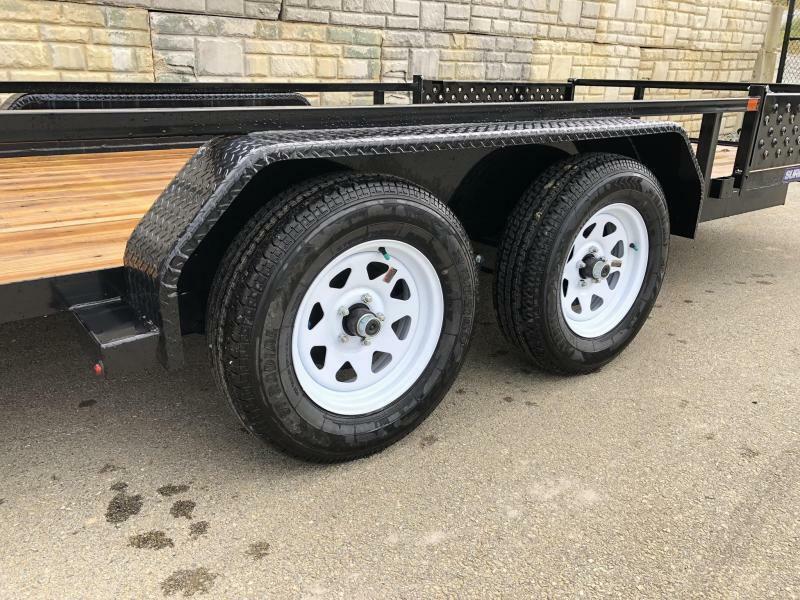 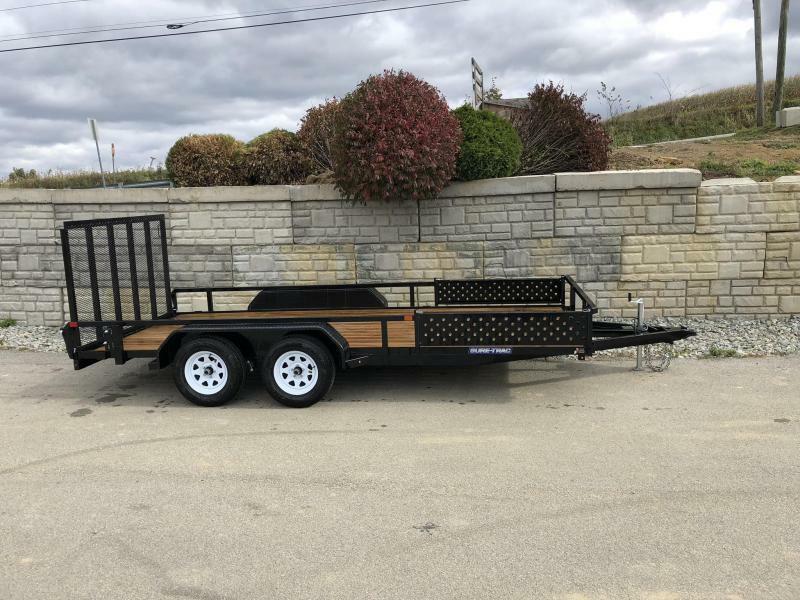 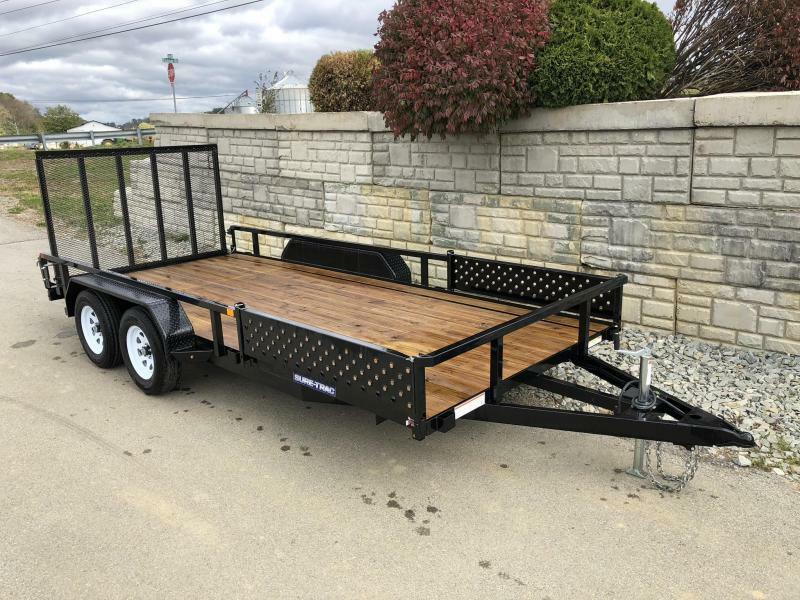 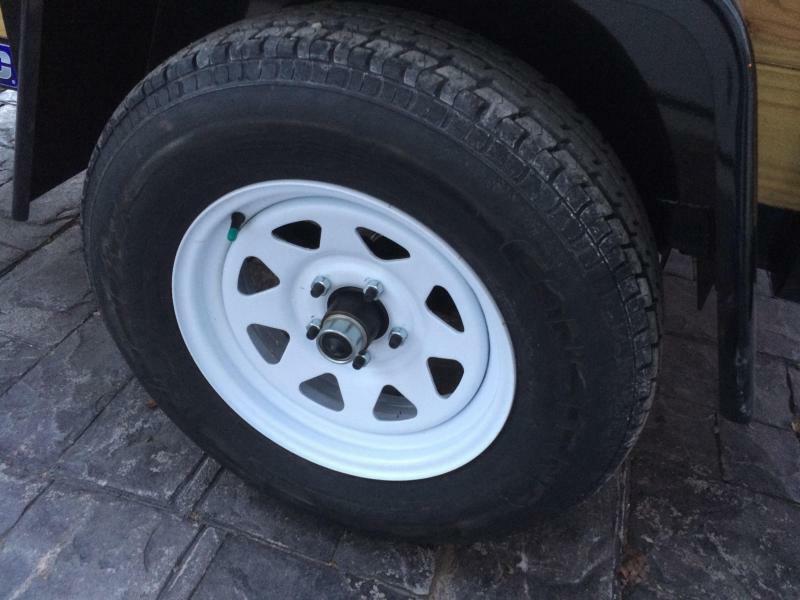 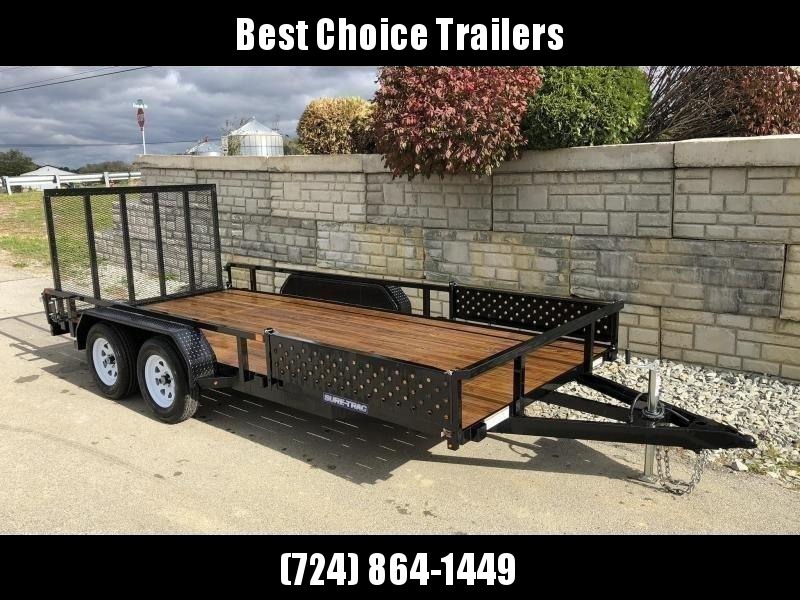 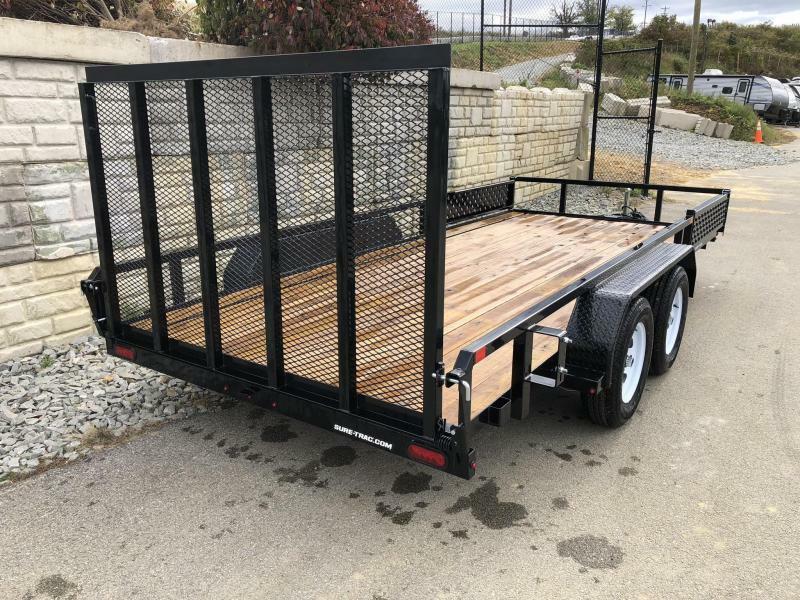 We have other make/models of utilities in stock, but if you're looking for our best mix of features, craftsmanship (powder coat/wiring/weld quality), and ATV ramp sides, this trailer should receive a closer look. 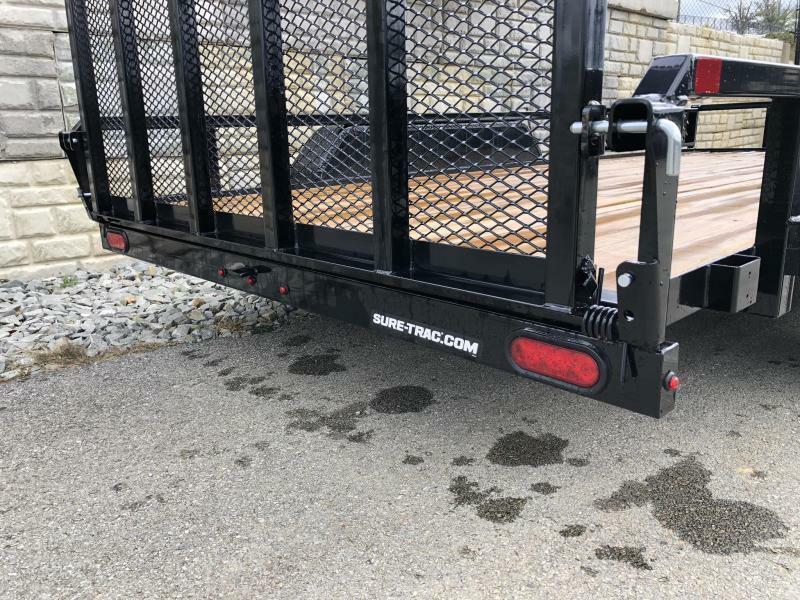 o Full wrap tongue (Most don't provide enough strength under the ramps and the trailer flex's excessively. 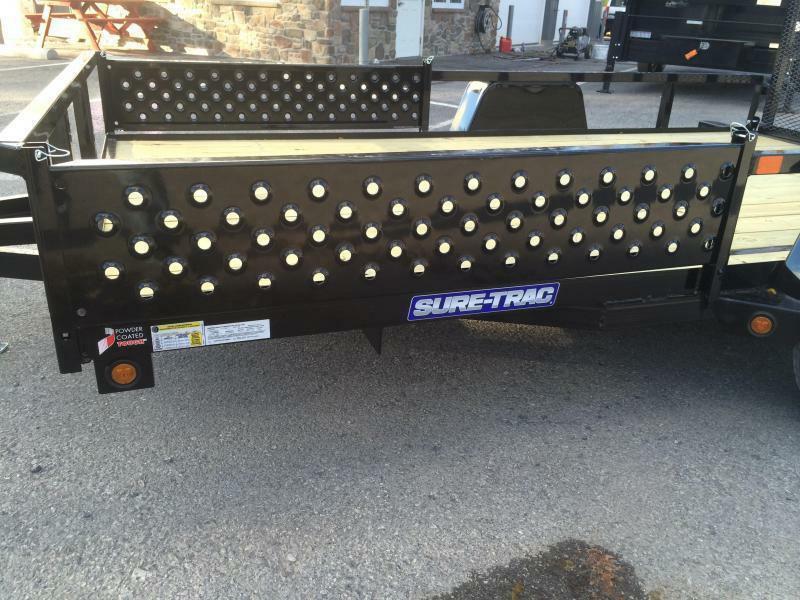 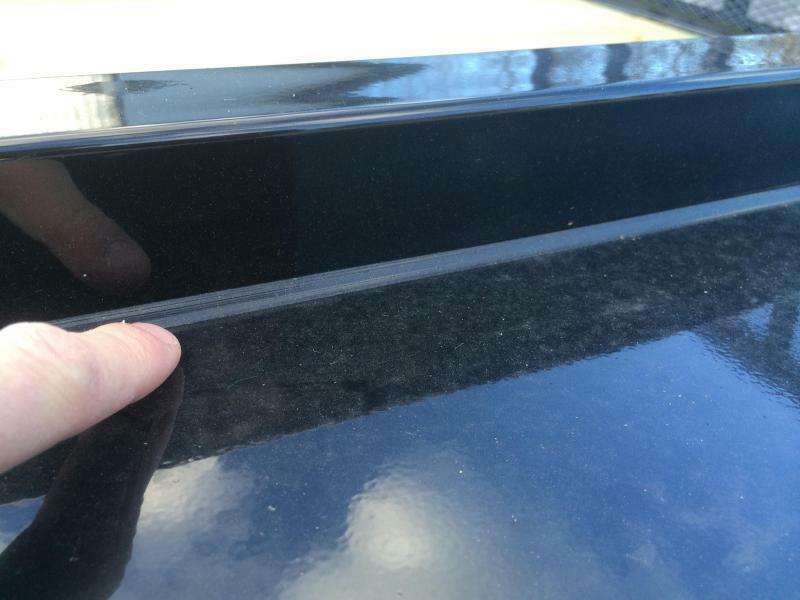 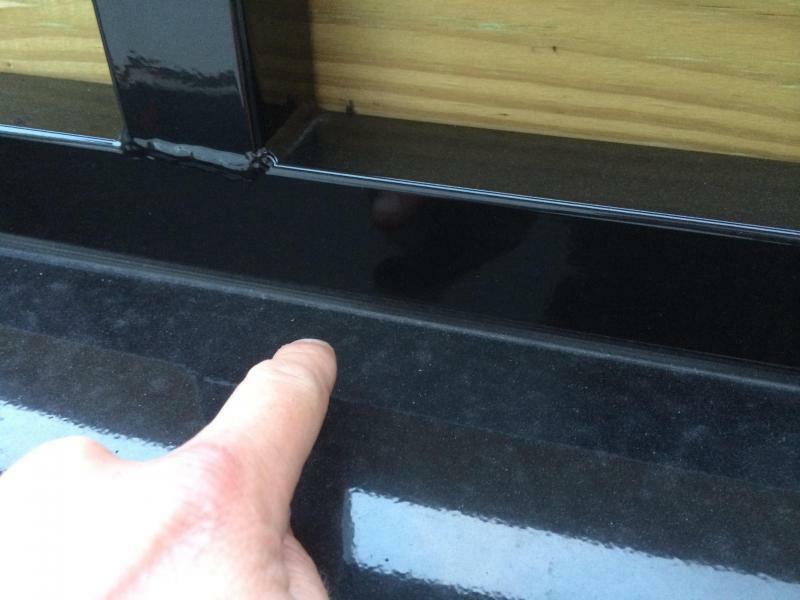 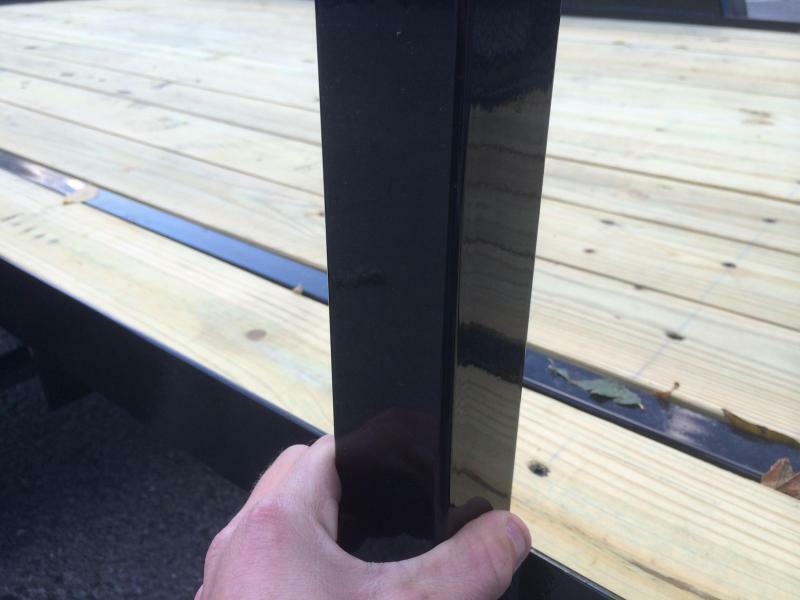 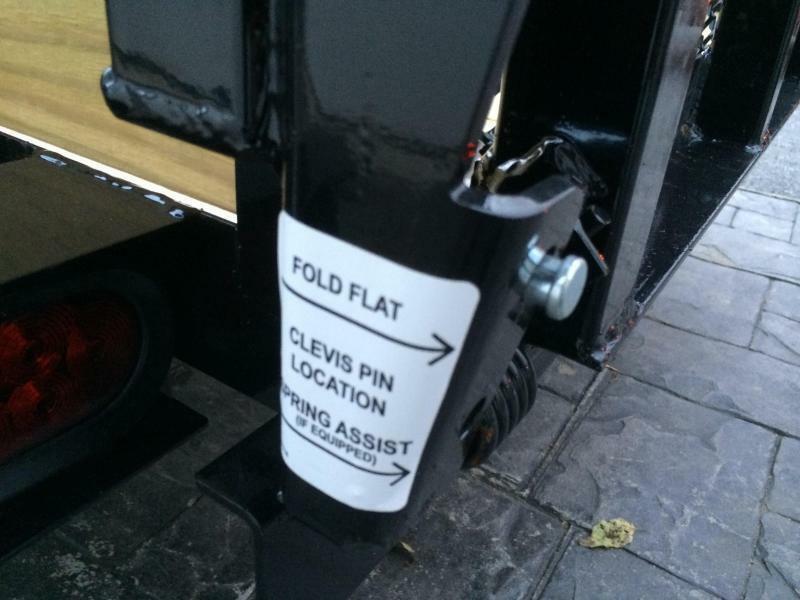 Our trailers all have a full wrap tongue for proper support).